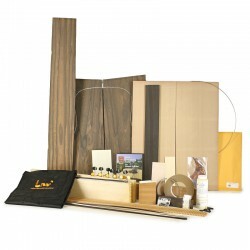 These kits are designed specifically for international students taking Robert O'Brien's online building courses. Since CITES/regulated material can't be shipped internationally, we have built these kits with materials that can be exported. 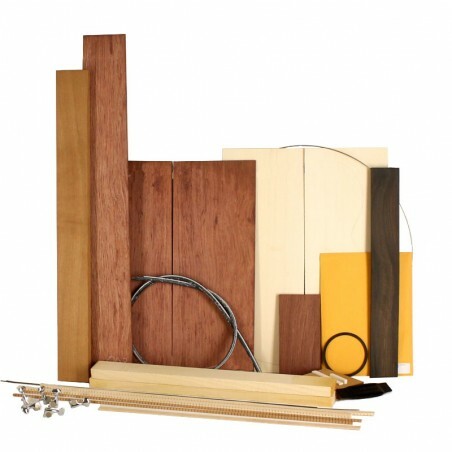 As with the other O'Brien kits, there are more required items than most Kit Wizard choices so we can ensure you have all the materials you need to complete the course. We highly recommend you watch these videos before using the Kit Wizard. Chrome / Firefox browsers are highly recommended. Internet Explorer is not recommended! 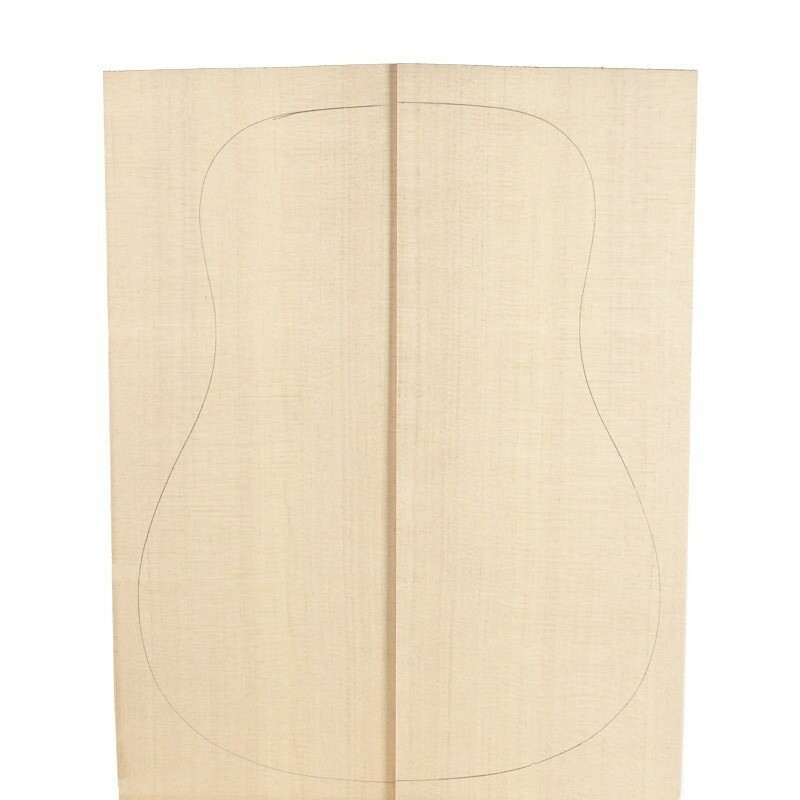 Robbie recommends the PL34 if you plan to build an OM guitar. The PL48 is his preference if you are building a dreadnought. 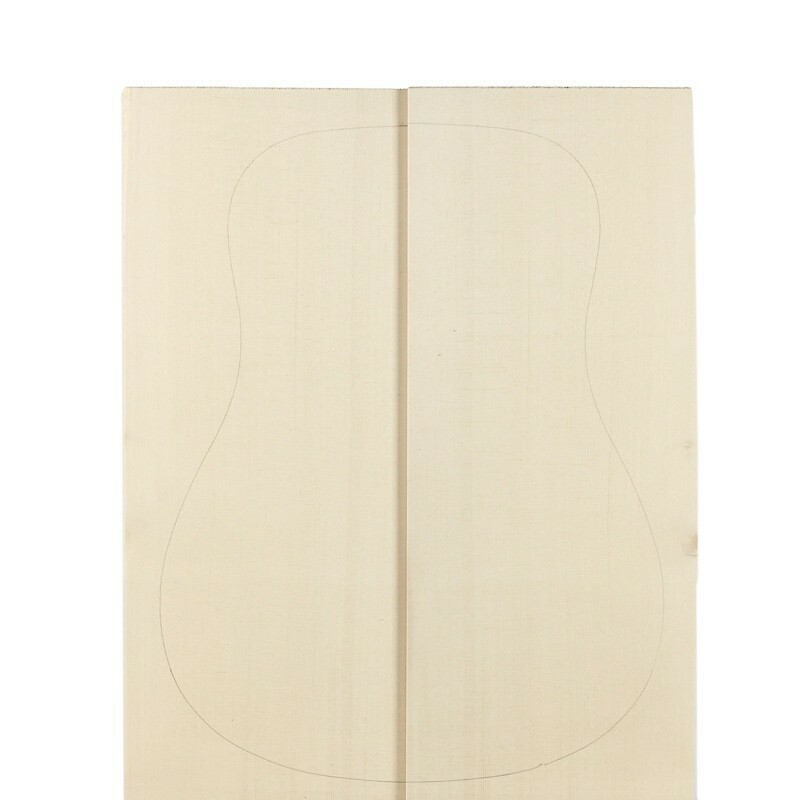 The plan on this page answers the call to those requesting a plan for a smaller guitar. Drawn by Scott Antes, a mechanical engineer by training, with a long history of instrument building, his experience and expertise are well illustrated in these fine plans. 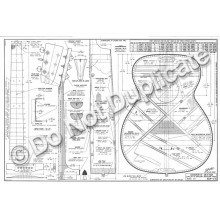 PL48 is a finely drawn 6-string dreadnought plan by Scott Antes (a mechanical engineer who provides us with a number of the plans we sell). 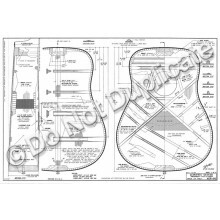 It is a two page CAD plan with large, easy to read text and dimensions. Choose the Back and Side set you like. 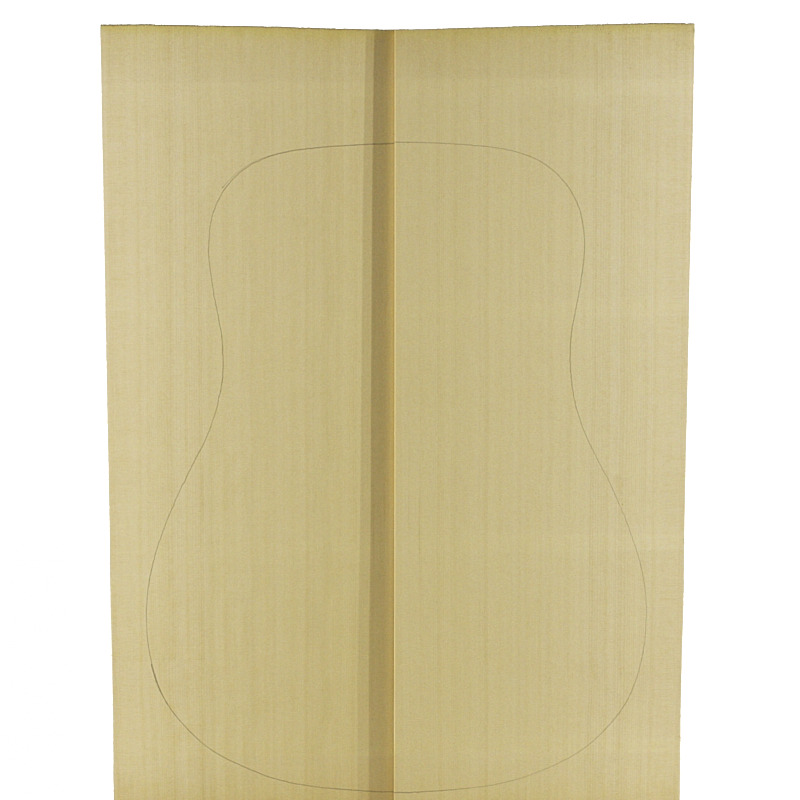 Backstrips can add a nice decorative element to any instrument. They can help tie a binding scheme together, break up a back with a less than perfect bookmatch or just add beauty to your guitar. 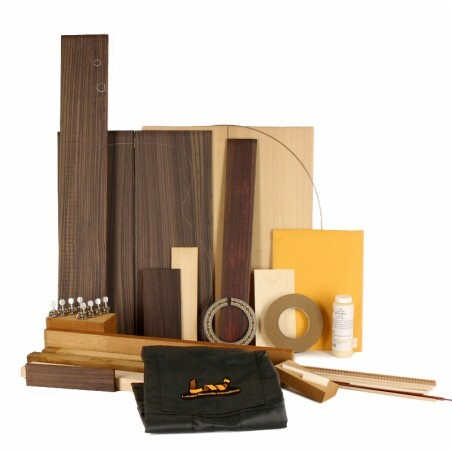 We carry bindings, purflings, and woodstrips to complete your desired color/pattern scheme. The laminate on this backstrip measures approx. .035 on either side. 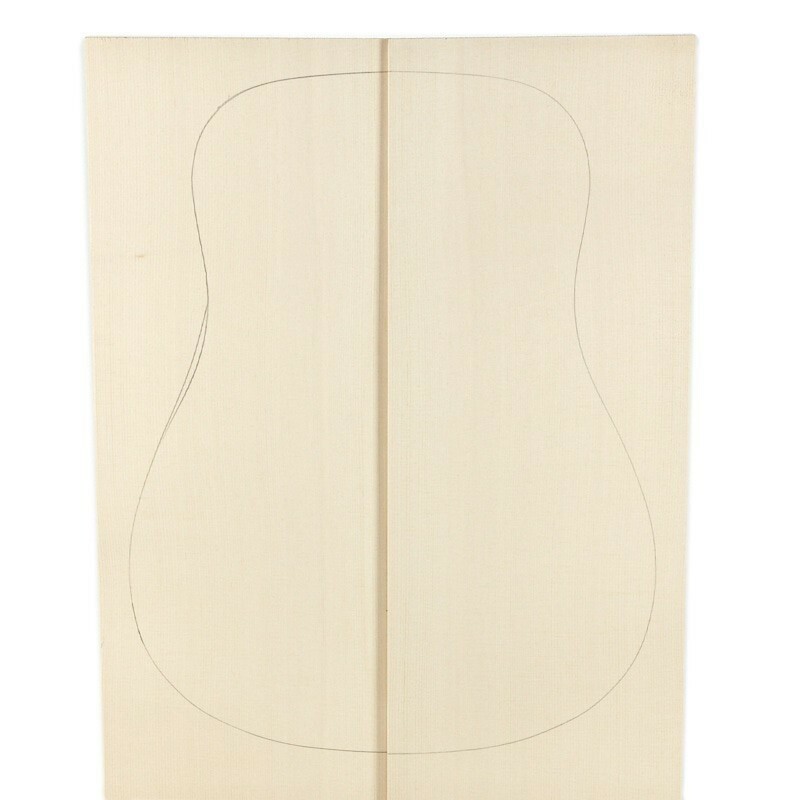 If you would like us to inlay your backstrip, start by ordering your back and side set and you will be offered this customization there. Robbie typically recommends 3A Spruce, but he has given you a bit of leeway to make other choices. Robbie chose a bold herringbone rosette for a 3-ring rosette scheme. Our narrow rosettes are meant to be part of a three-ring-rosette scheme. 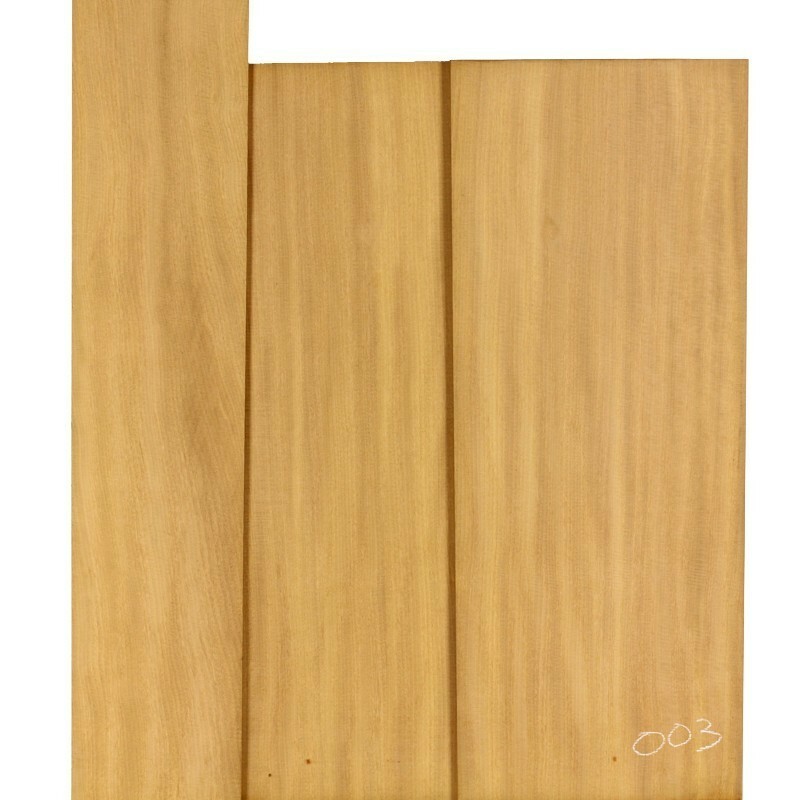 This item includes the 32" PFLMSH5 purfling to create this scheme. Use a 3/64" or .047" bit (CA047D) to create the purfling channels. If you would like to have a rosette inlaid into a top, start by ordering the top and the rosette inlay customization will be offered to you there. If you order an inlaid rosette the drawing shows how we will inlay it. If you order a loose rosette the drawing is a suggestion of how you may wish to inlay this rosette. 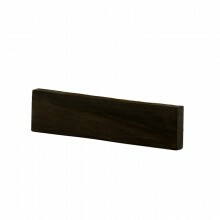 Robbie has chosen a West African Ebony fingerboard which will look great with an Ebony peghead veneer and bridge. 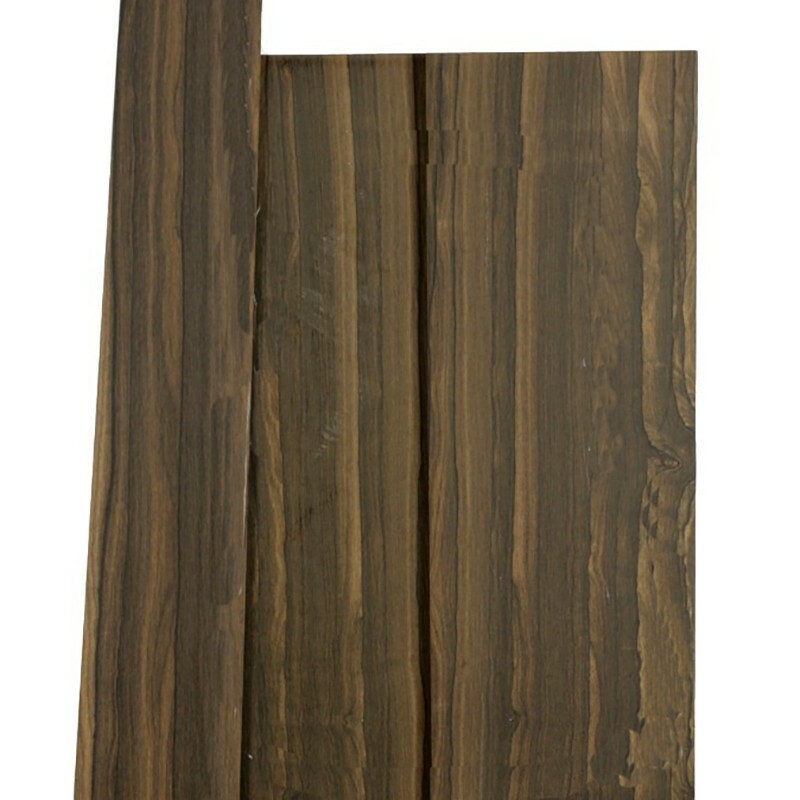 West African Ebony has been a standard fingerboard wood for factory guitars in Europe and America, and for many builders, it is preferred because it is easier to plane and is more stable than other Ebonies. It is rarely pure-black, but the streaks and mottling that are indicative of West African Ebony are now largely accepted in the marketplace. 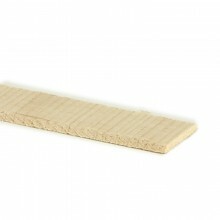 Would you like us to slot, radius and/or thickness sand your fingerboard? Choose fingerboard customizations below. The choice made here was plastic 2mm dots for the side position markers and plastic 6mm dots for the face. Note that Robbie's class demonstrates installing 6.35mm dots but these are 6mm due to the inability to export shell dots. Plastic position markers are a good substitute for shell particularly if you are going to export your completed instrument as there are no export restrictions on these markers. These rods measure 7 3/4" long. Choose between 4 and 6 pieces. 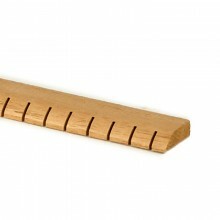 You need 6 if you are going to bind the fingerboard. 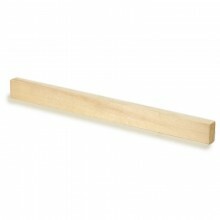 If you aren't binding the fingerboard you may want to get a couple extra anyway in case of breakage. 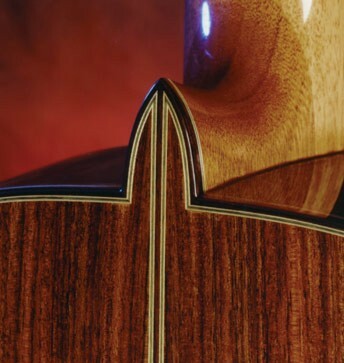 Wood binding serves to protect the corners of the instrument as well as seal the end grain of the soundboard and back. 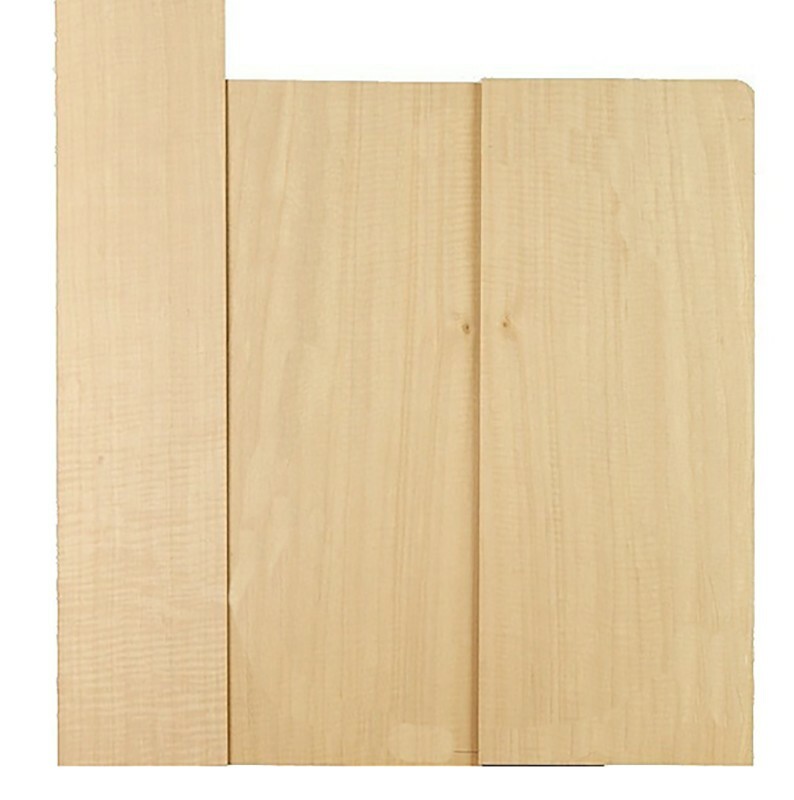 Many of our bindings have matching backstrips. 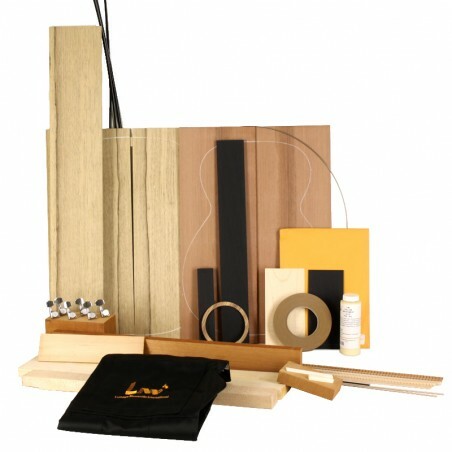 Rocklite® is a revolutionary and totally environmentally friendly approach to tonewoods for musical instruments. 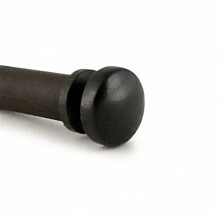 It looks and sounds like real ebony, and is very black unlike most ebony available today. 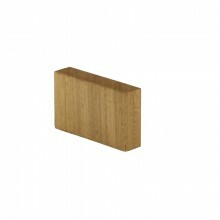 It is an engineered composite produced from eco-friendly, readily available wood species. LMI has done loads of testing on this material and it performs well. It cuts, routs and sands easily and is black all the way through. 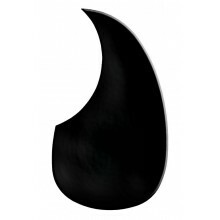 If you're looking for a super-black alternate to ebony, Rocklite is for you! A BWB scheme has been chosen here. Please select 3 as Robbie likes to use this purfling for the rosette rings. Anything on the edge of an instrument that isn't the outermost edge (binding) is called "purfling". 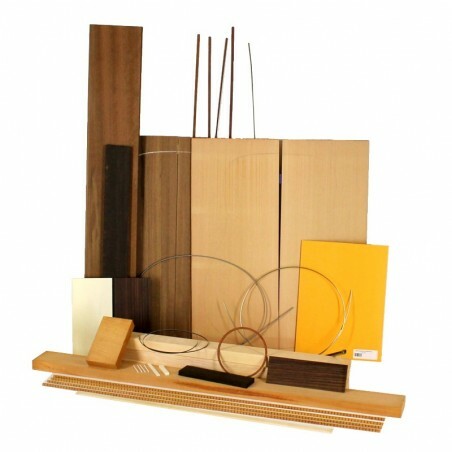 Fiber veneer is very flexible and no bending is needed prior to installation. 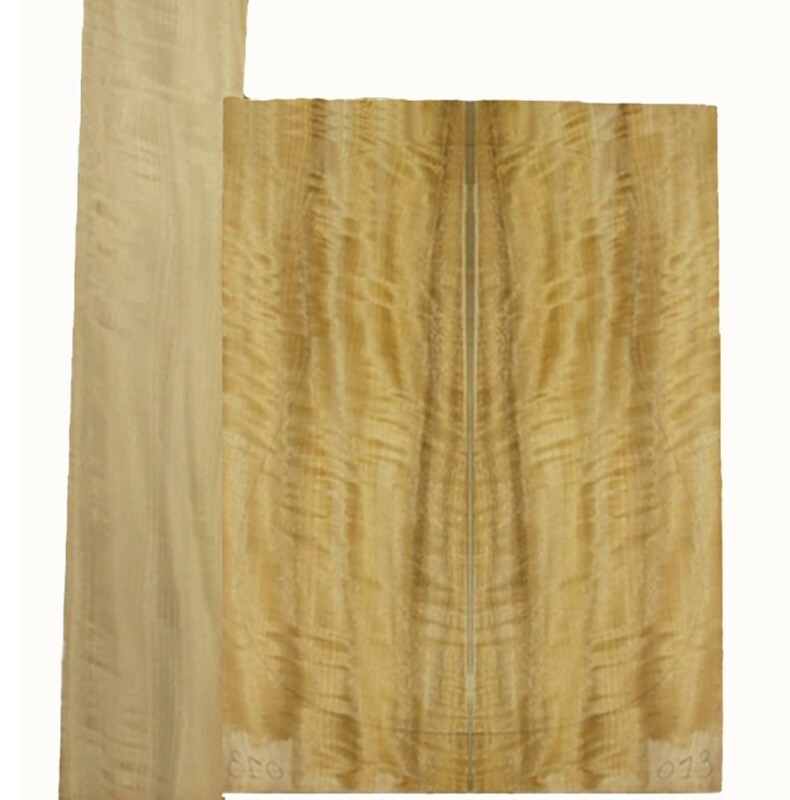 Wood veneer may need to be bent to avoid breakage depending on the shape of the instrument you are building and the number of laminates in the layup. One can sometimes us a simple household iron to bend these to the appropriate shape. These laminates should not be soaked. Choose Khaya or Sapele, whichever you prefer (if available). A 35" neck generally allows you to produce your neck and heel from the same stock which prevents issues with color/grain mismatch. 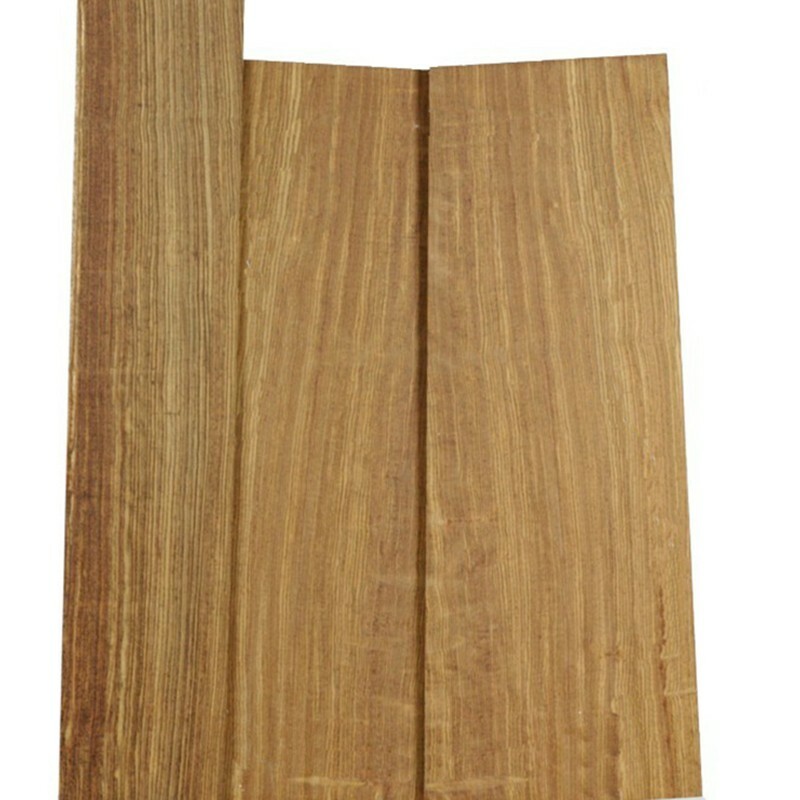 Khaya has often been overlooked as a substitute for Mahogany. 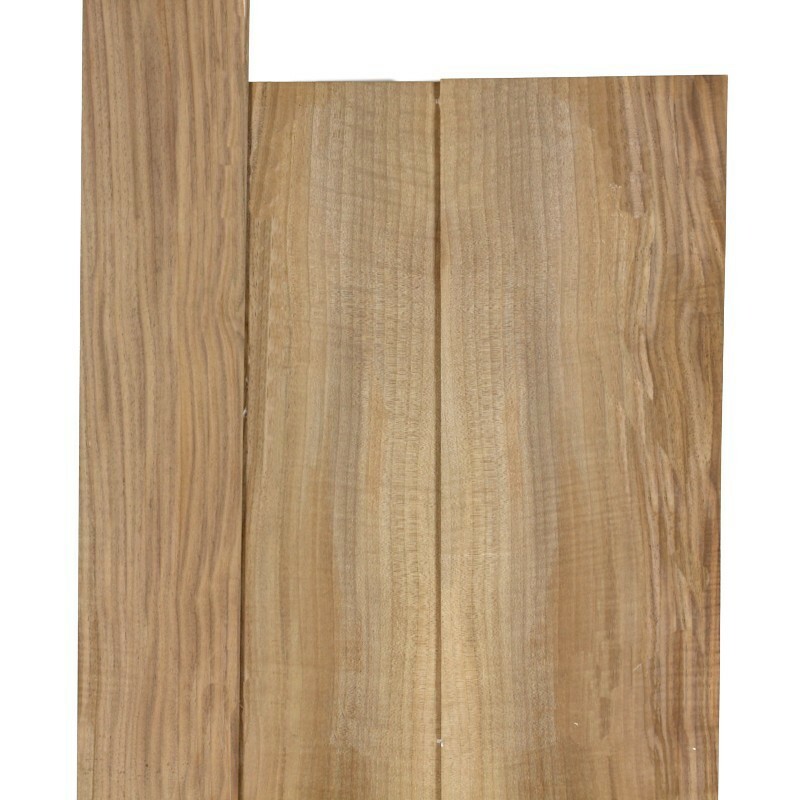 Though it is an attractive wood, the wide pores, lighter weight and pinkish color we usually see in this species clearly distinguish it from "the real thing". 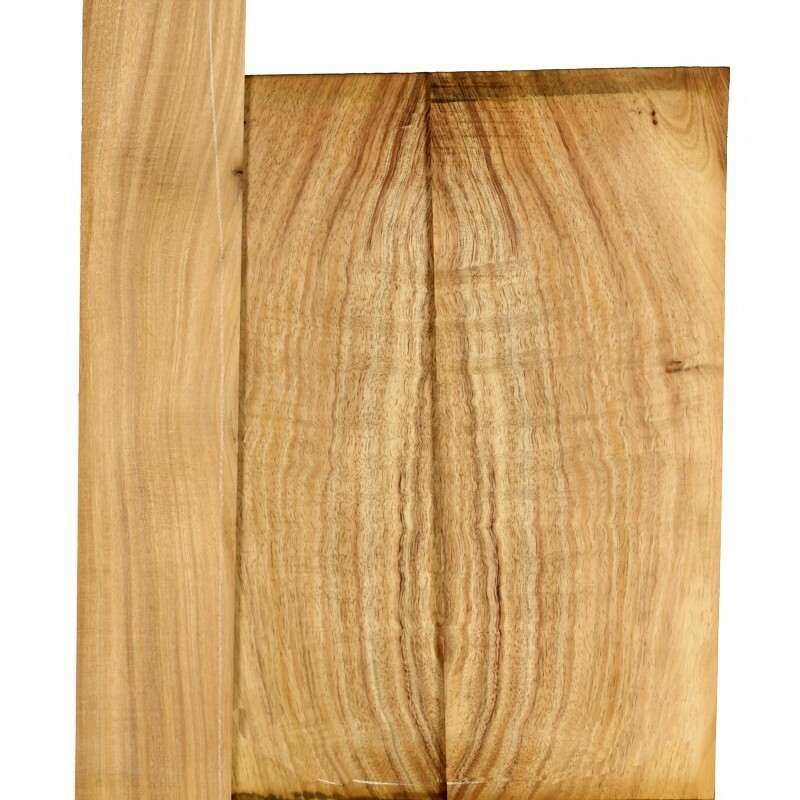 We have found that there are different strains of Khaya which look nearly identical to Honduran Mahogany - or at least present themselves as the best substitute we have come across so far! 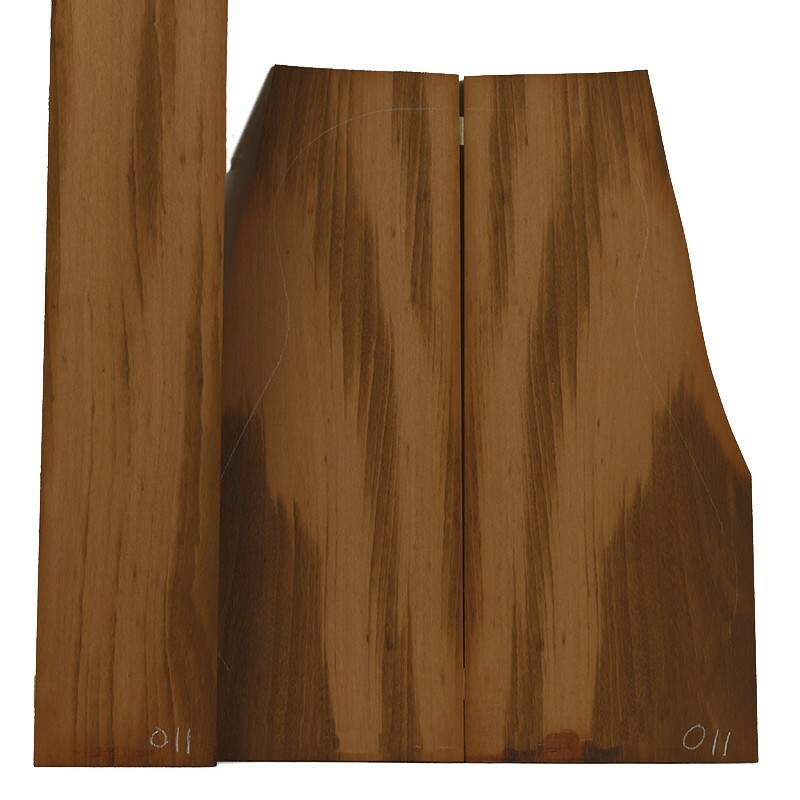 First grade necks & heels are straight-grained, quartersawn with a 25° variance off quarter allowed. 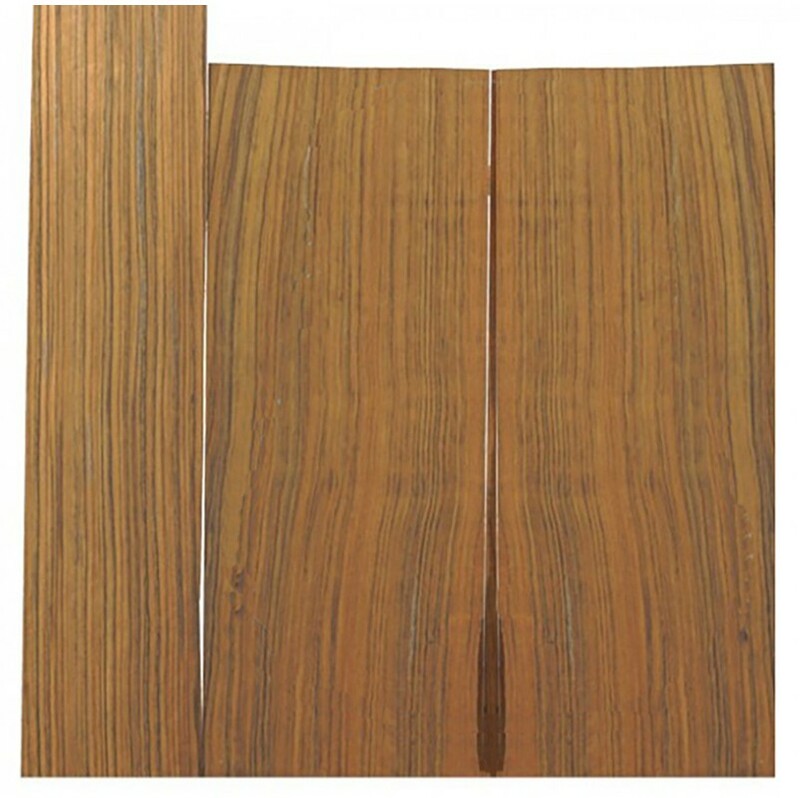 African Sapele features an attractive ribbon figure than runs the direction of the grain. 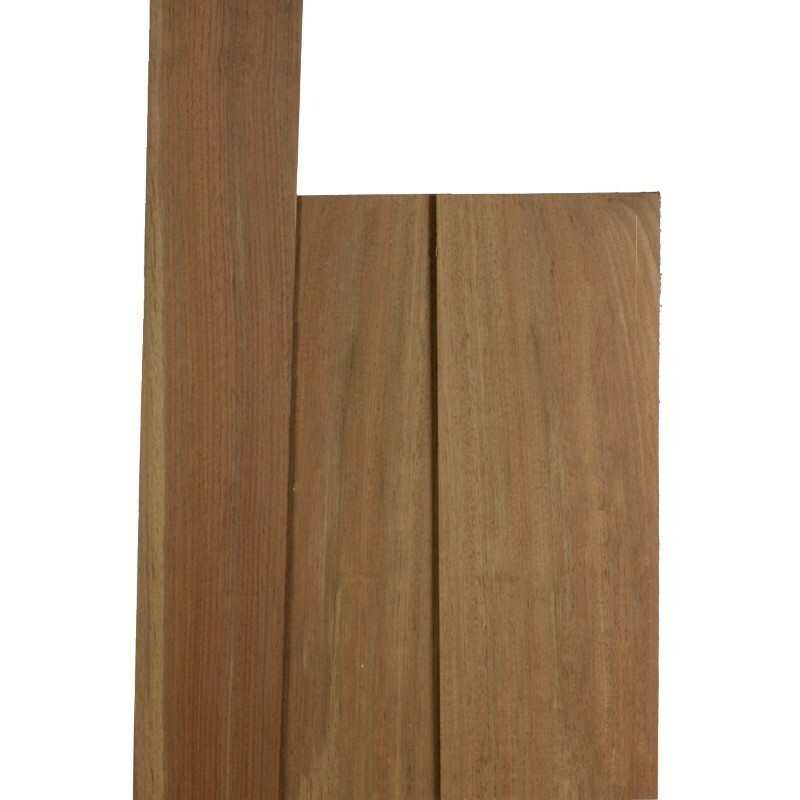 It is an excellent alternative to Honduran Mahogany, with similar color, and above average stability. 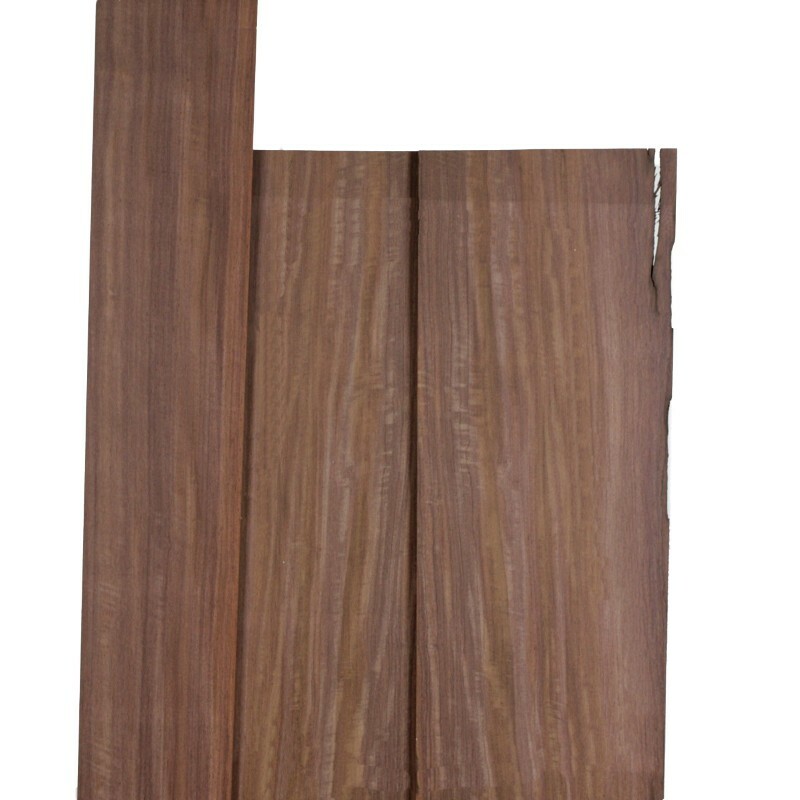 It is a little heavier than Honduran Mahogany and the texture is not quite as even. 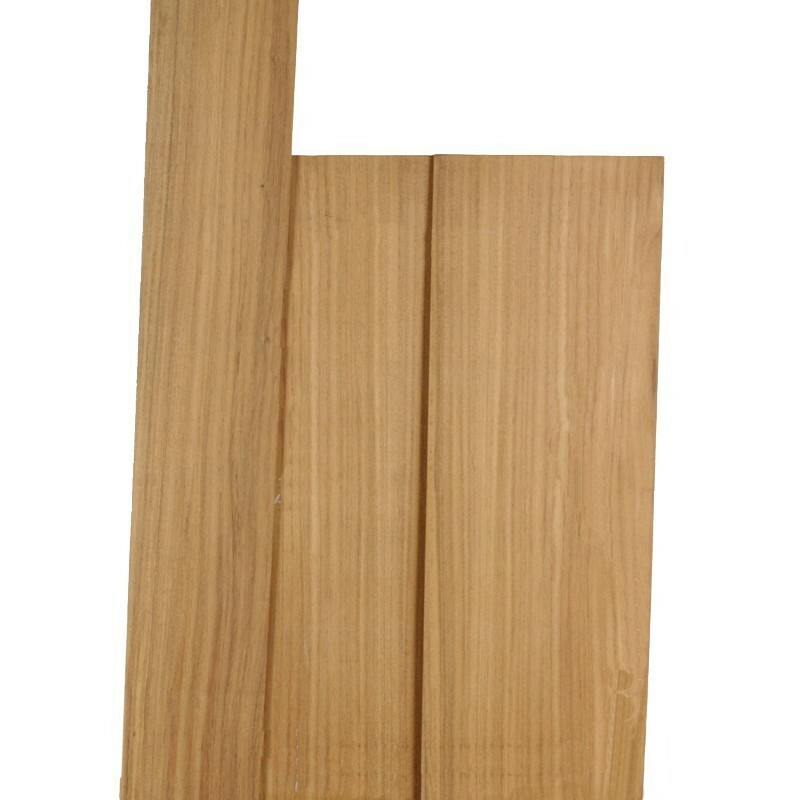 First grade necks and heels are straight-grained, quartersawn with a 25° variance off quarter allowed. 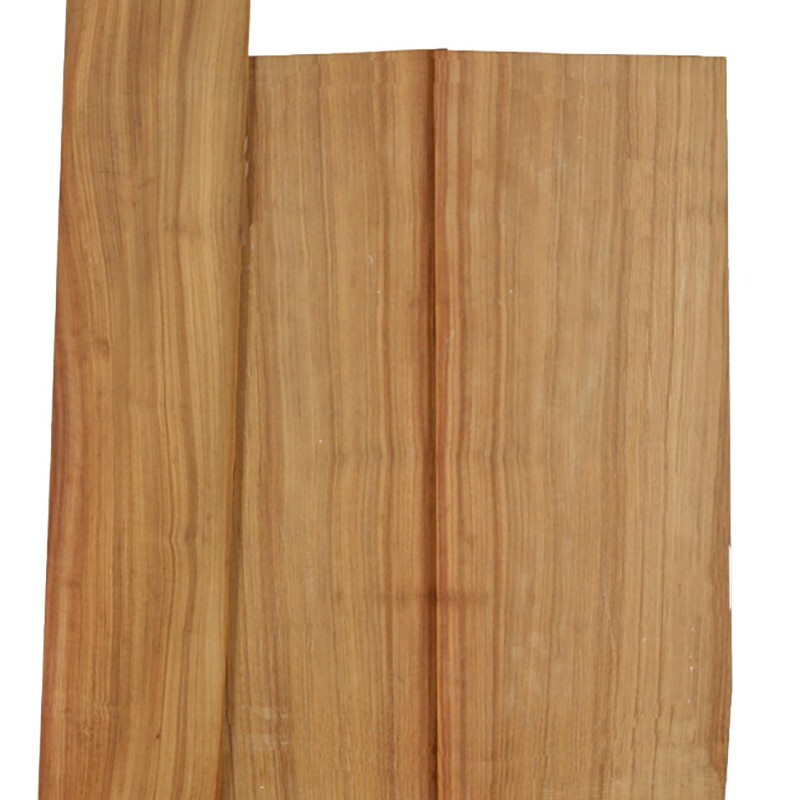 Khaya or Sapele are offered as they can be exported. 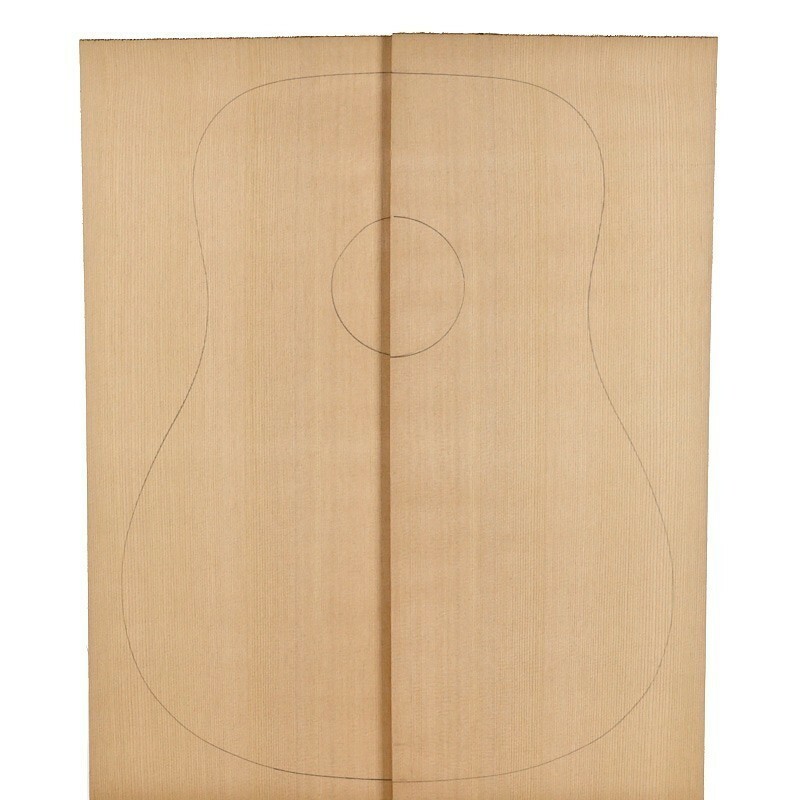 The heel or neck block is affixed to the inside of the guitar and is where the neck attaches, typically by using bolts and/or a mortise and tenon. 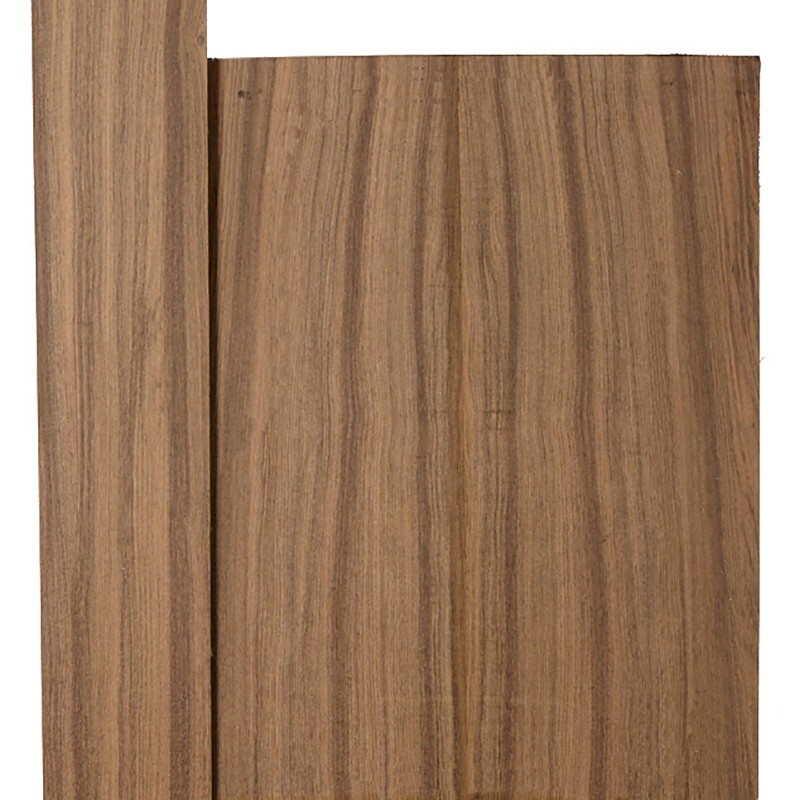 Khaya has often been overlooked as a substitute for genuine Honduran Mahogany. 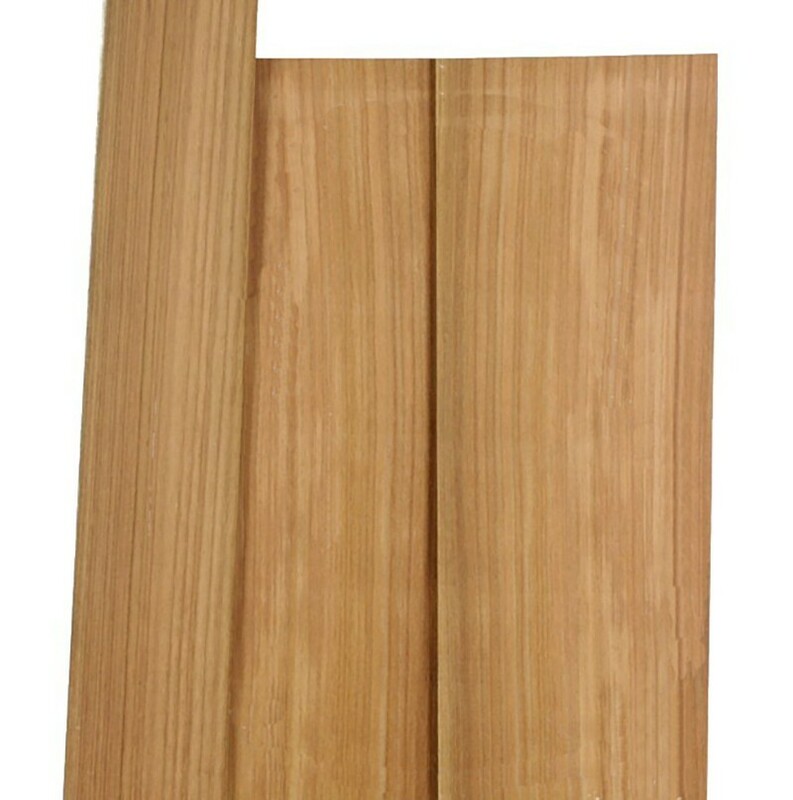 We have carried it for years for backs and sides, and though it is a very attractive wood, the wide pores, lighter weight and pinkish color we usually see in this species clearly distinguish it from "the real thing". 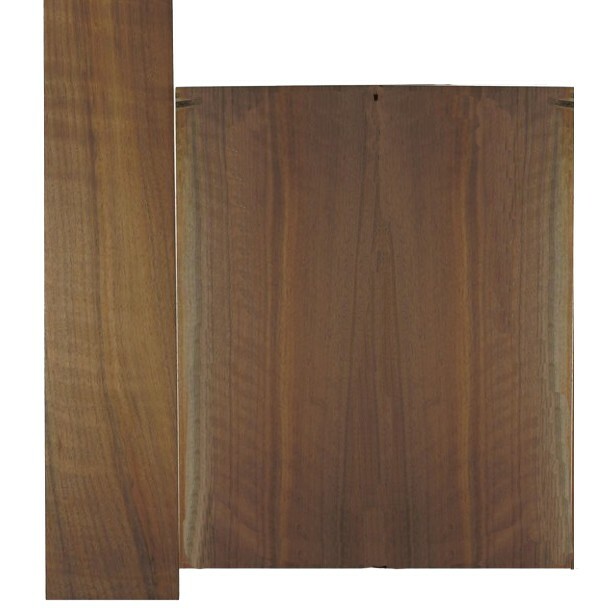 But we have now found that there are different strains of Khaya which look nearly identical to Honduran Mahogany - or at least present themselves as the best substitute we have come across so far! 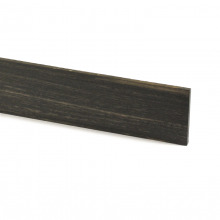 A West African Ebony bridge blank has been chosen for you. 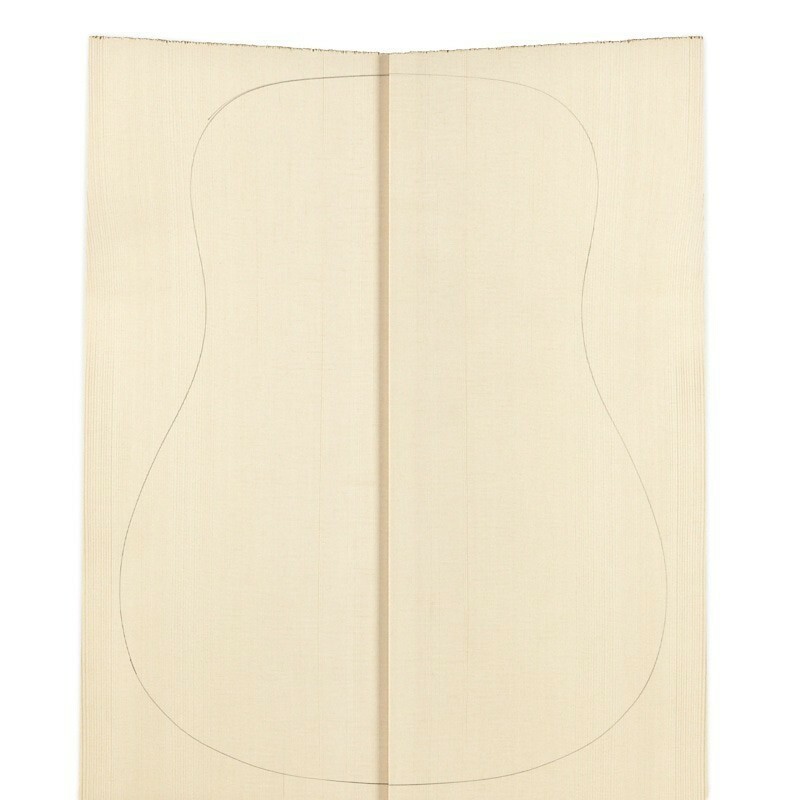 This will coordinate well with the Ebony peghead and fingerboard. 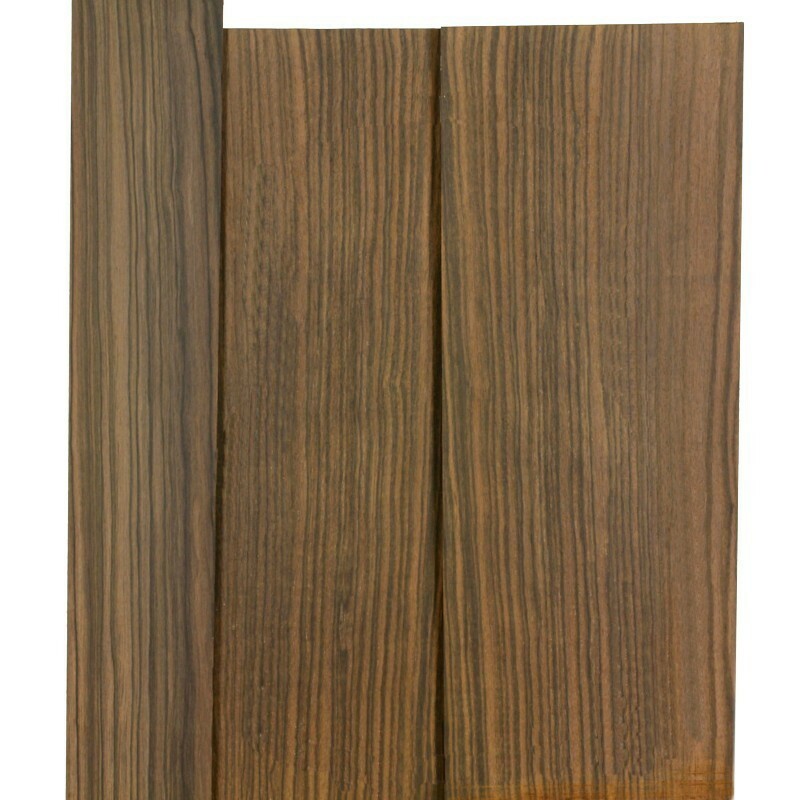 West African Ebony has been a standard wood for factory guitars in Europe and America, and for many builders, it is preferred because it is easier to plane and is more stable than other Ebonies. It is rarely pure-black, but the streaks and mottling that are indicative of West African Ebony are now largely accepted in the marketplace. 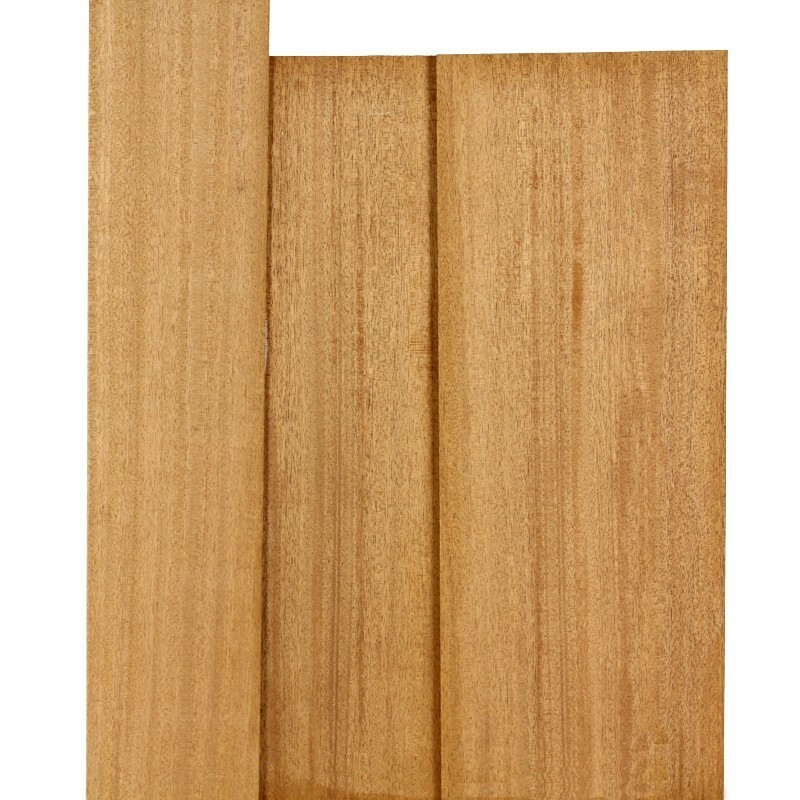 This Maple bridge plate reinforces the area behind the bridge. 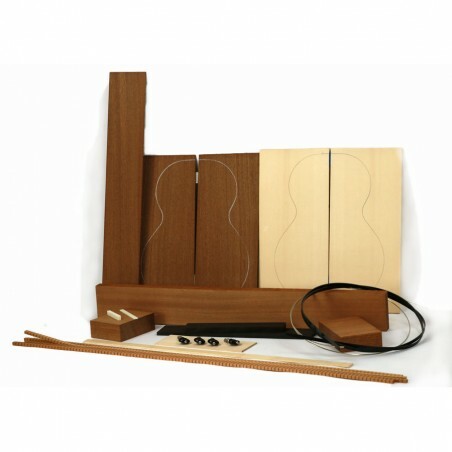 Maple or Rosewood bridge plate or bridge reinforcements are used on steel string guitars under the soundboard as shown in the illustration. 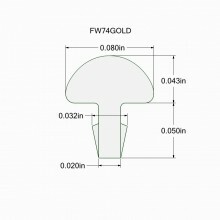 Robbie has chosen our steel string standby FW74 in either gold or nickel/silver. Hard, standard size long wearing fretwire. This is easily our most popular fretwire and is used mostly for steel string, but is often used on classical and electric guitars as well. This wire is similar to Dunlop's #6230 wire. 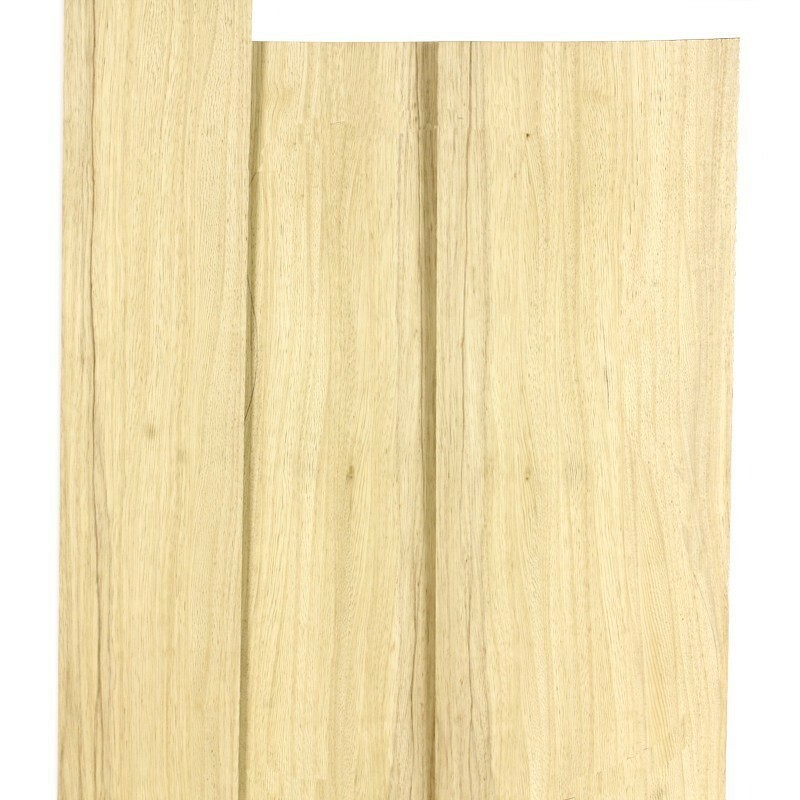 Fretwire is sold in either 4 or 100-foot lengths. 4 feet is normally enough for one standard instrument if you're not wasteful, but please check your plans before ordering. 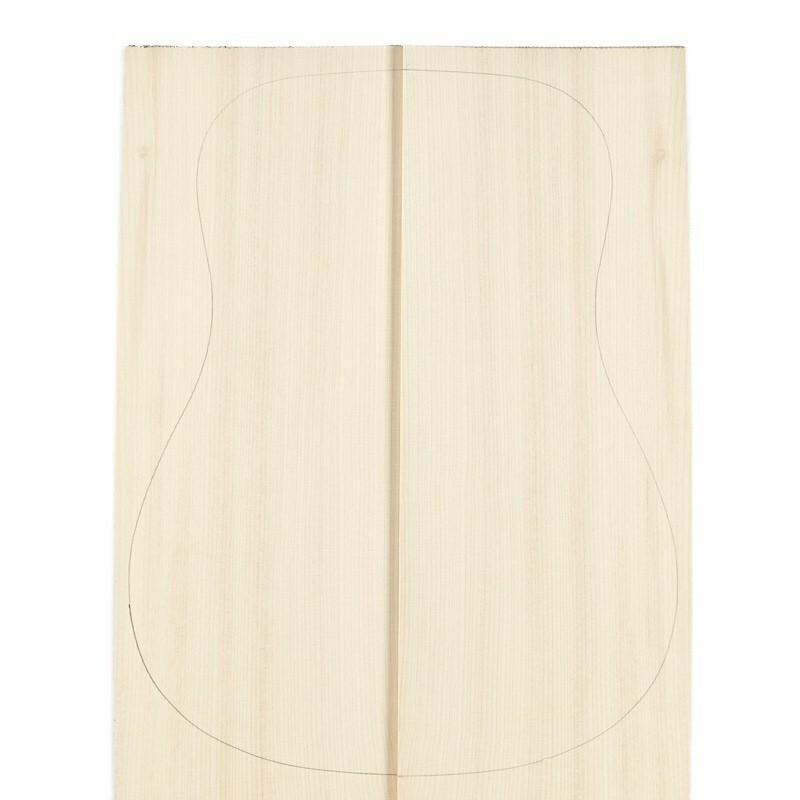 For easier installation, fretwire is coiled with the tang toward the inside of the curve. 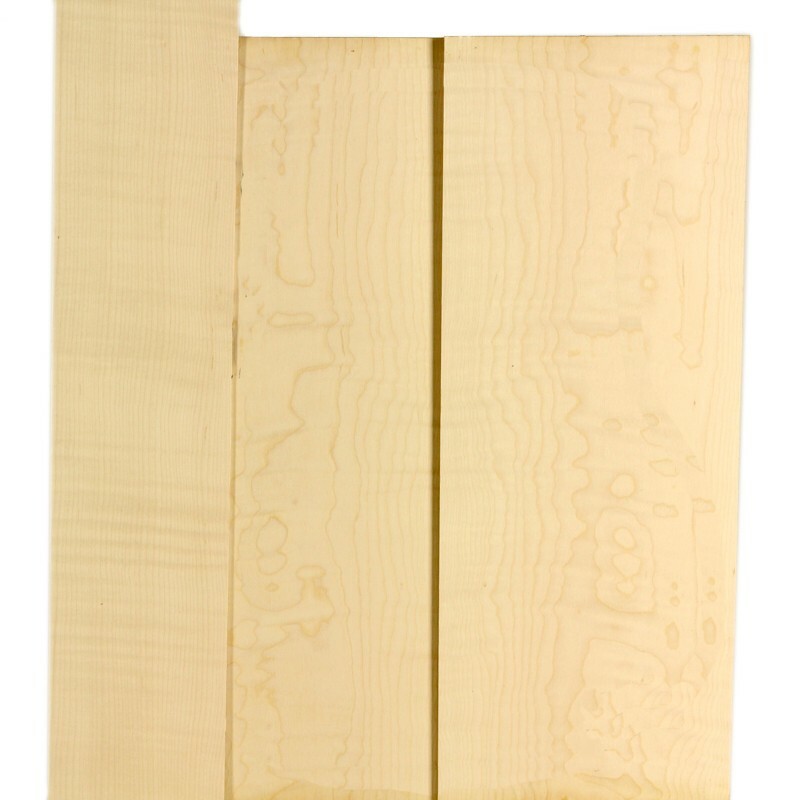 4-foot sections might be cut into halves for shipping purposes. All of the fretwire we carry will fit into a .023" slot, with the exception of the FW75 nickel/silver wire. 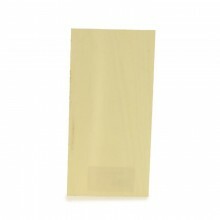 This is easily our most popular gold fretwire and is used mostly for steel string, but is often used on classical and electric guitars as well. This wire is similar to Dunlop's #6230 wire. An African Ebony headplate and Maple veneer are the choices here. Note - Each headplate is different from the next. 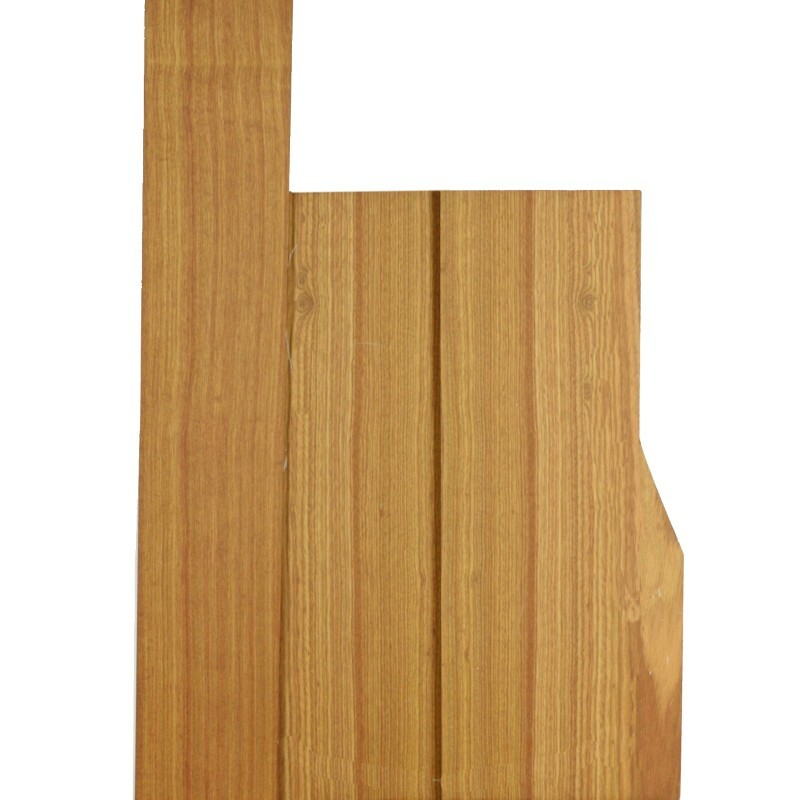 We are showing you a representation of the wood species, but your headplate might look very different from the representative photo. These veneers sandwich between your peghead and your headplate to give your finished peghead that extra something special. 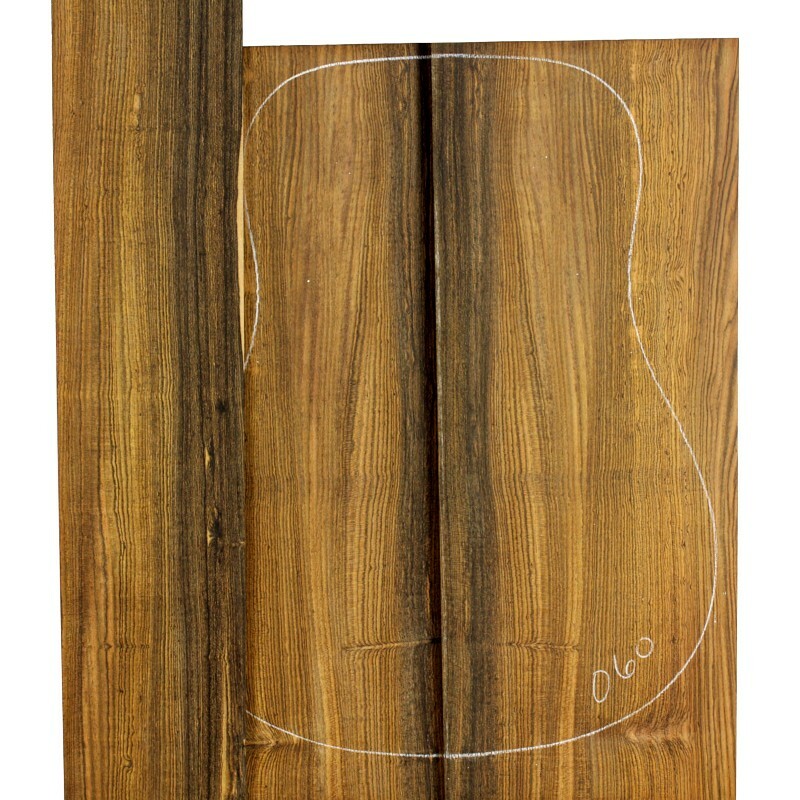 The end block is the block that stabilizes the end of the guitar where the sides meet at the lower bout. 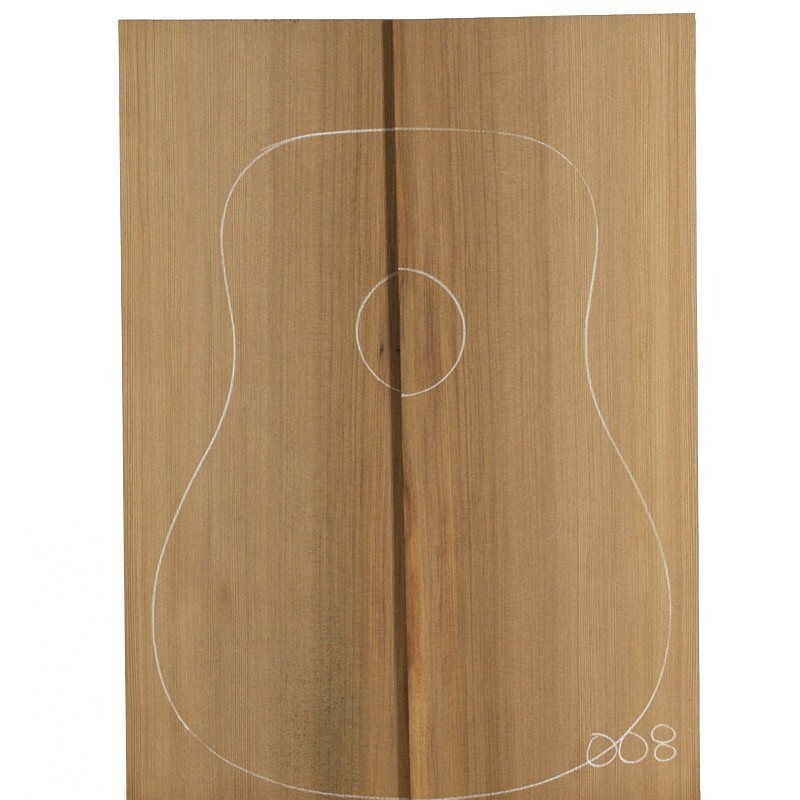 The long edges of the block can be chamfered for an attractive look on the inside of your guitar. 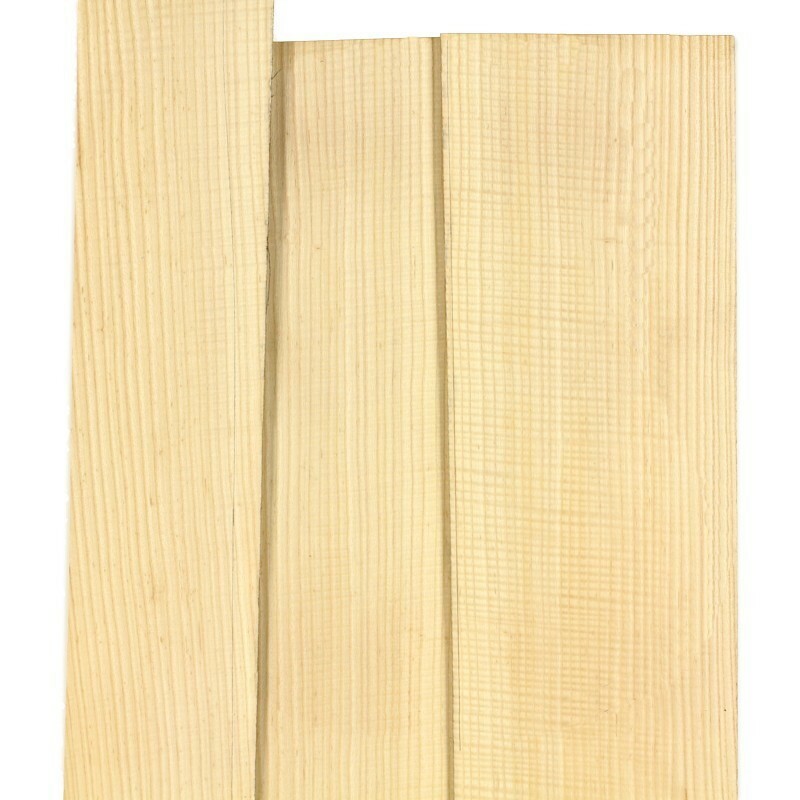 Spruce backjoint reinforcement is commonly used on this type of instrument. 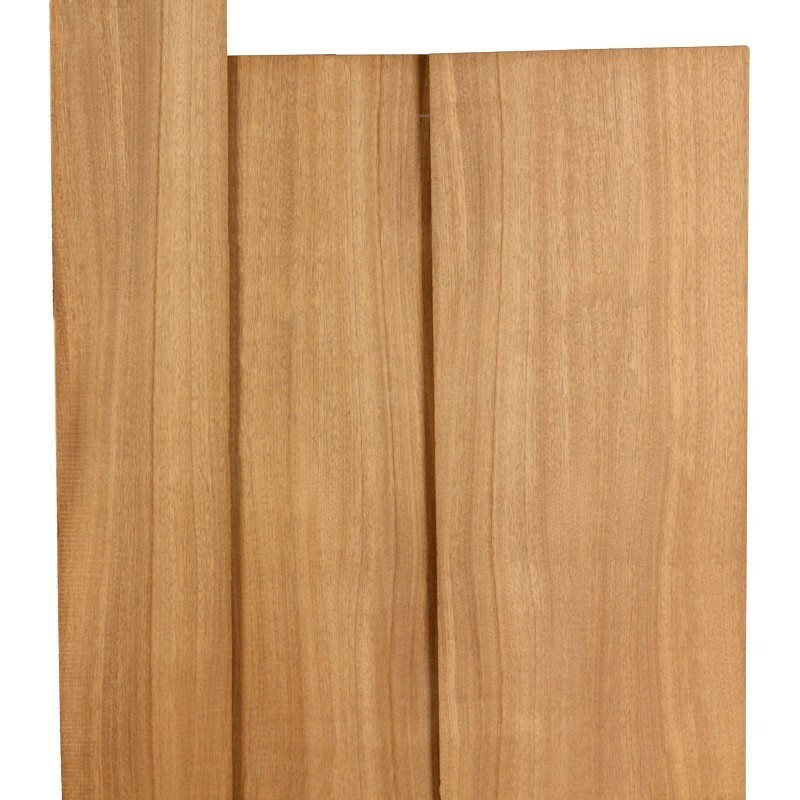 This cross-grained strip is glued to the inside of the back, spanning and reinforcing the joint of the back halves. These reinforcements are beveled and ready-to-go except for final shaping to a rounded profile, which is done after the strip is glued to the back. 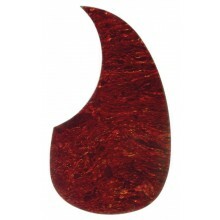 Robbie prefers reversed profile Mahogany kerfing. It's easy to work with and it attractive. Choose 4, 2 for the back and 2 for the top. These are the bone items Robbie suggests. Bone is the material of choice these days for nuts and saddles. Its creamy smooth quality and natural denseness make it perfect both visually and mechanically. 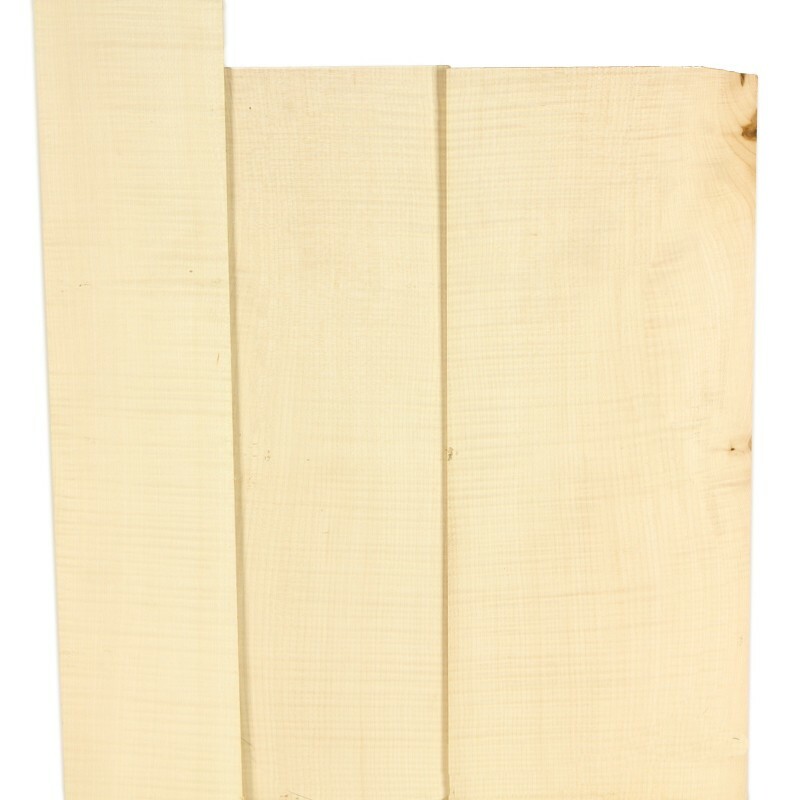 We have chosen Sitka Spruce bracewood as it can be exported. Robbie typically uses the GGM6G gold machines, but we have given you a couple more choices here. Robbie has chosen the LMI double action rod. Protected by U.S. Patent No. 6,259,008, this is the best rod on the market in our humble opinions. 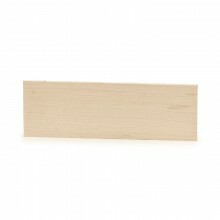 The square stock bears against the bottom of the fingerboard, so no filler strip is necessary. 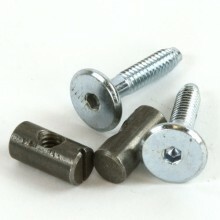 Turn the nut one way and the rod bows one direction, turn the nut the other way, the rod bows the other direction! 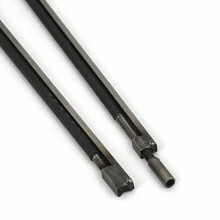 With this rod, the nut is actually welded onto the adjusting rod which has been right-hand threaded on one end and reverse threaded the other. The bottom, round rod is covered with heat-shrink tubing to protect against rod buzz. 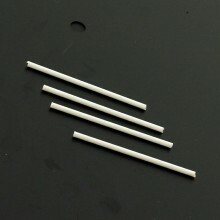 This rod requires a slot 1/4" wide x 3/8" deep. 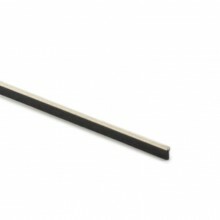 The bar-stock dimensions and the round-stock OD with the heat-shrink tubing are the same and that makes for easy installation. 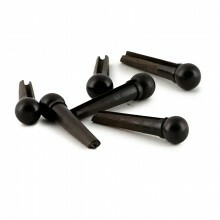 Ebony bridge and end pins will accessorize well. Robbie prefers the cross-dowel neck attachments in his kits. Robbie doesn't typically use a pickguard, but if you want one, we have given you a couple of choices. If you don't, skip this choice. 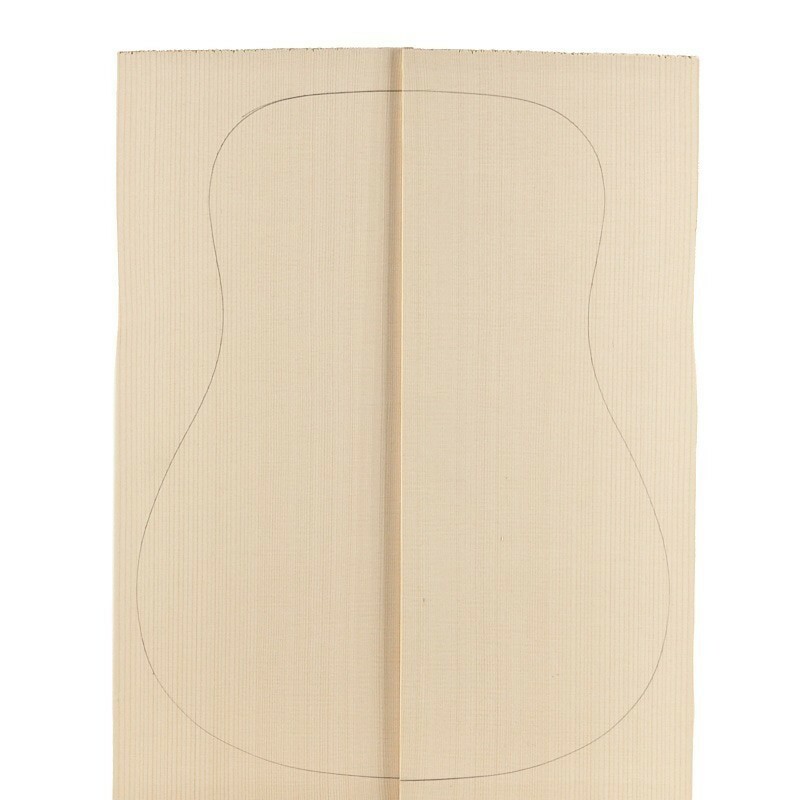 Our plastic Martin®-style pickguards are similar to those found on countless well-known factory guitars. They are cut to fit most dreadnought sized guitars. 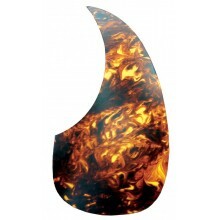 Use as a replacement pickguard or as an economical alternative to our Tor-Tis™ line of pickguards. To ensure that the size and shape meet your requirements, we recommend printing the scaled paper pattern the .pdf attached. Robbie likes to include binding tape and glue in his kit. Almost all factories and hand makers in our experience use tape to hold the bindings and purflings in place while gluing them to the edge of the body. 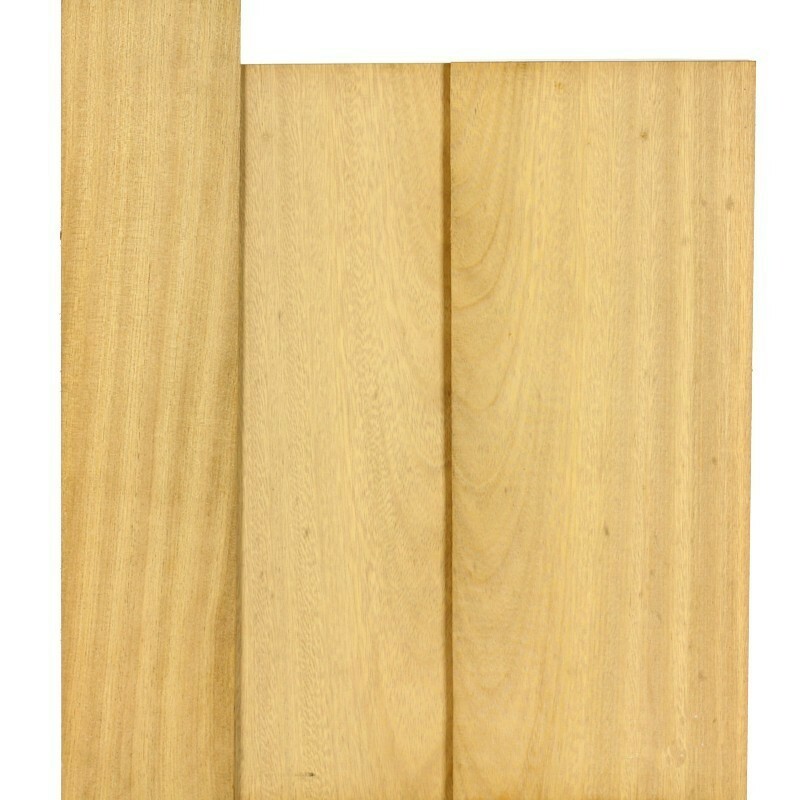 Regular masking tape is generally too weak and tears under the pressure needed to press the bindings and purflings firmly into the routed channels. Filament tape—plenty strong enough—must be cut to length with scissors or a knife and is expensive. The tape of choice is this binding tape, our FT75, made from stiff paper with strong rubber based adhesive. 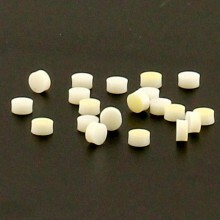 It is strong enough to apply sufficient pressure with a strong adhesive yet can be torn by hand as you work. Each roll should do at least 5 or 6 guitars. 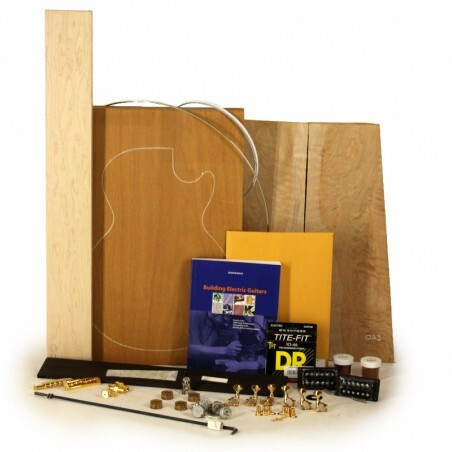 Over the years LMI has provided guitar makers with the best possible adhesives to use on their instruments. 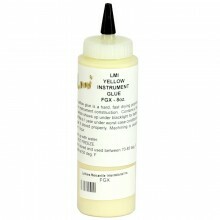 Our yellow instrument glue has an amazing set of features that exceed anything else we have offered in the past. Choose any or all of the accompanying material offered at a discount. We were surprised and delighted when luthier Robert O’Brien, who at that time was an instructor at Colorado’s Red Rocks Community College, informed us that he had been having his students order our kits and that he was making an instructional DVD based on them. Building from LMI kits, O’Brien thoughtfully chose to use a slideshow format creating more than 1400 photos and 3 ½ hours of audio for each DVD, rather than a video format. 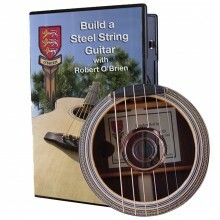 This enables him to document every step of the building process on a single, affordable DVD disc. He creates this classical DVD in the school's well-equipped shop using common power tools, and he gives suggestions on how most of the operations can be completed with hand tools. 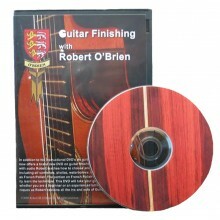 In addition to his instructional DVD’s on guitar construction, Robert O’Brien offers DVD on guitar finishing. Using a slideshow format with audio, Robert teaches how to choose and apply several types of finishes including oil varnishes, shellac, waterbornes, lacquers and urethanes as well as French Polish. The portion on French Polish includes video clips to easily learn the technique. 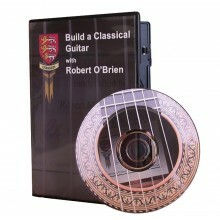 This DVD will take your guitar finishing to new levels whether you are a beginner or an experienced luthier. 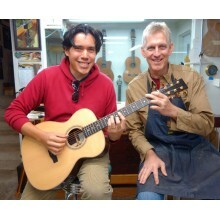 Learn many new techinques as Robert explains all the ins and outs of guitar finishing. 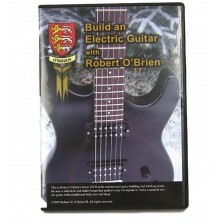 Robert O'Brien's latest DVD in his instructional guitar building and finishing series. 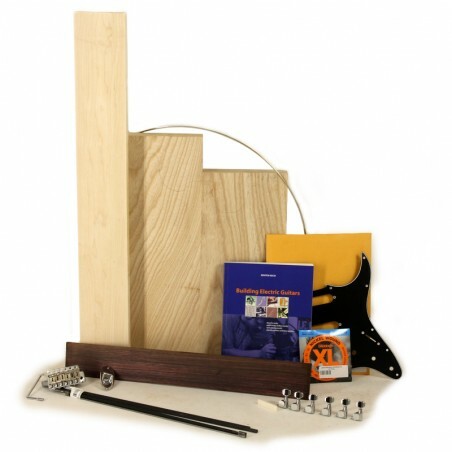 He uses a slideshow and audio format that makes it easy for anyone to build a standard electric guitar with a traditional body size and shape. This item is optional. If desired, choose your size. LMI's aprons are made from 100% polyester satin cloth making them a bit shiny and super easy to clean. They have lots of pockets for stashing critical stuff that is typically lost on the bench. The two large front pockets are flapped to prevent wood dust and chips from accumulating in the bottom of your pocket. The straps are made from wide adjustable nylon that criss-crosses in the back for ultimate comfort. The XL size fits a pretty "full sized" guy or gal. For reference, our employee Ian is wearing a medium sized apron in the photo. Aprons are embellished with an embroidered gold LMI logo and lettering. Machine washable (We recommend line drying).